Contemplate a secret garden while you stroll along a peaceful path through history and nature's handiwork. George Washington Carver, called the “plant doctor” as a child, tended such a garden, and nature and nurture conspired to influence his journey to become a renowned agriculture scientist. The seeds of the Carver legacy were planted on 240-acres in Diamond Grove, Missouri, where Carver was born and where he observed the daily operations of the 19th century farm. 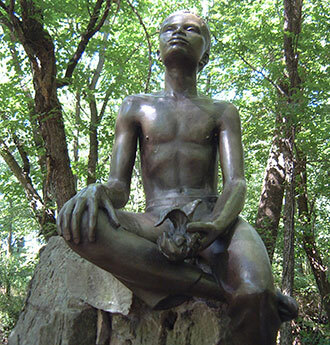 Born enslaved toward the end of the Civil War, and tragically orphaned, Carver spent the first 11 or so years of his life amid the rolling farmland, woods, and prairie. It was this environment that stoked his curiosity about plants, and shaped the values of industriousness, ingenuity, and faith that defined his personality. Dr. Carver became a great scientist, teacher, and humanitarian whose legacy is based on his philosophy that “No individual has any right to come into the world and go out of it without leaving something behind.” Cotton was king, but depleted soil of essential nutrients, so Carver taught impoverished black farmers to grow alternative crops such as sweet potatoes and soybeans. He introduced sustainable farming, which revolutionized both farming methods and thinking. While he is famous for transforming peanuts into products such as ink, paper, soap, and massage oil, and created some of his own delicious recipes, it was his commitment to “the greatest good to the greatest number of my people” that made Carver truly inspiring. Today his birthplace is a national monument, dedicated in July 1943, just a few months after his death. It's the first to honor, specifically, the accomplishments, and contributions of an African American. Visit the park to walk in Carver's footsteps, and connect to his life — a one-mile trail is a pleasant path to understanding. It will lead you through woodlands, over streams, and restored prairie to see Carver's birthplace and the family house and cemetery — maybe you'll even catch a glimpse, in your mind's eye, of his secret garden. Relax by a spring-fed pond and contemplate the beauty and solitude of the young Carver's world, or join a park ranger on a guided tour. 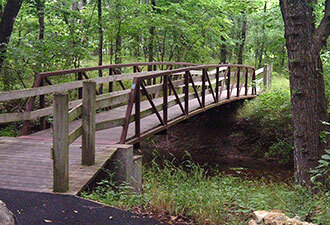 Kids will enjoy the hands-on exhibits and Junior Ranger program. And, thinking about back-to-school? Teachers, give us a call to reserve a science classroom or a 19th century history classroom for education programs. 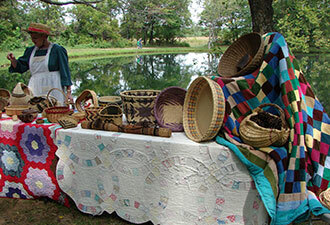 For a special treat, visit the park in September, for the annual Prairie Day celebration, which will transport you back to the time of Carver's youth. You might have opportunity to enjoy roots music, dip candles, churn butter, and tour the prairie in a horse-drawn wagon. Prairie Day, like all the park programs and events, is free of charge. To round out a great summer or make a weekend complete, don't miss this gem in Diamond.